Celcom is Malaysia’s premier and most experienced mobile telecommunications company with the widest coverage in the nation. It provides both prepaid and postpaid mobile services to close to 11 million subscribers. Celcom is also growing its position in content and Value Added Services (VAS), enterprise solutions, bulk wholesale services, digital services and machine-to-machine (M2M) solutions, in line with evolving technologies and changing consumer behaviour in Malaysia. Celcom has the widest network in Malaysia, covering 95% and 90% of the population with its 2G and 3G networks respectively. 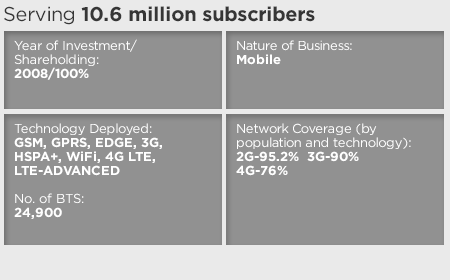 With close to 4,800 4G LTE sites, Celcom continues to invest in network coverage, capacity and performance to maintain its technology leadership and position as the country’s best mobile service provider whilst looking to drive differentiation based on a superior network and exceptional mobile data and Internet experience. Celcom is also a pioneer of industry leading wholesale partnerships which include Mobile Virtual Network Operators (MVNOs) as well as domestic and international roaming. Celcom currently has six MVNO partners that provide additional channels to the market, covering niche segments with strong growth potential. Celcom views MVNOs as an important alternative channel for servicing niche consumer segments and continuously evaluates new MVNO partnerships. Celcom’s long standing partnerships with local and global operators have resulted in a broad Internet network coverage with roaming services in 197 countries via 462 network partners. As part of the Axiata Group, its customers also enjoy great rates and consistent experience whilst roaming. Celcom puts high emphasis on Customer Experience in all its products and services. This is reflected in Celcom winning awards for best telco, customer experience, brands and other corporate accolades.